A novelty at Sainte Marie-aux-Mines 2018. 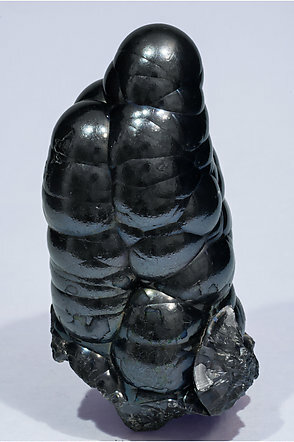 Very aerial stalagmitic botryoidal growth of Heterogenite, a cobalt hydroxide that is very rare as significant collectible samples. We consider this one, due to its evident quality, between the best known for the species. The sample has been analyzed and we’ll send a copy of the analysis to the buyer.